Flip a coin. 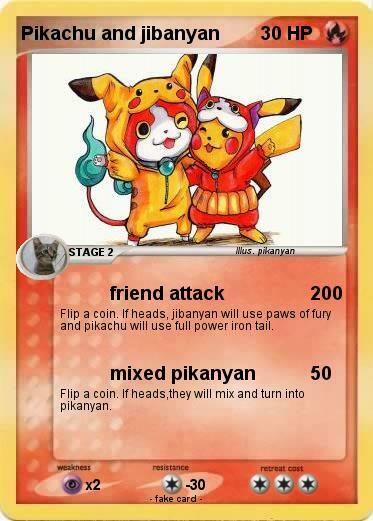 If heads, jibanyan will use paws of fury and pikachu will use full power iron tail. Flip a coin. If heads,they will mix and turn into pikanyan.